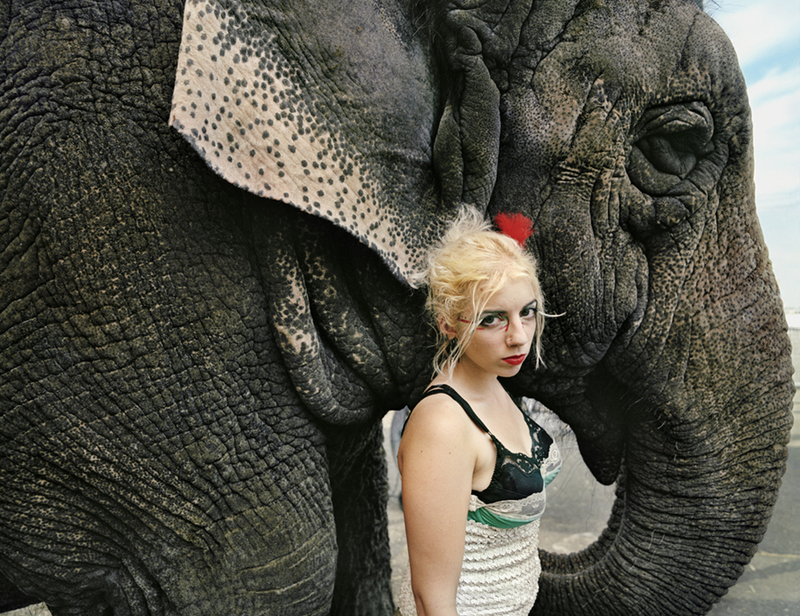 Working in brilliant color and with a large format camera, photographers Jimmy and Dena Katz spent three seasons following the last authentic traveling Side Show in America to create this elegy to a uniquely American art form. 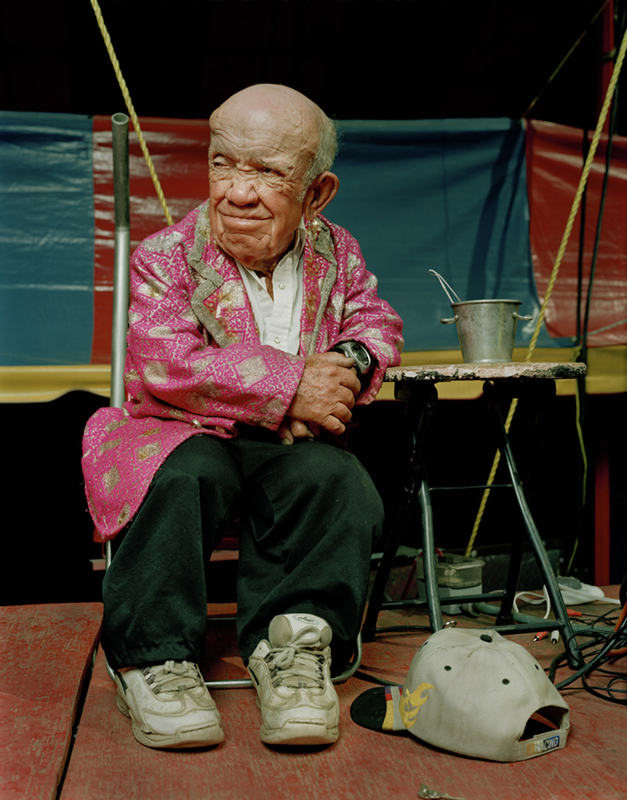 Their powerful, poignant and respectful portraits of aging performers and young recruits reveal disappointment, despair and tenacity played out against the tawdry glitter of the fairground. These images, along with anecdote and commentary by the performers, are brought together for the first time in "World Of Wonders" (powerHouse, 2009). 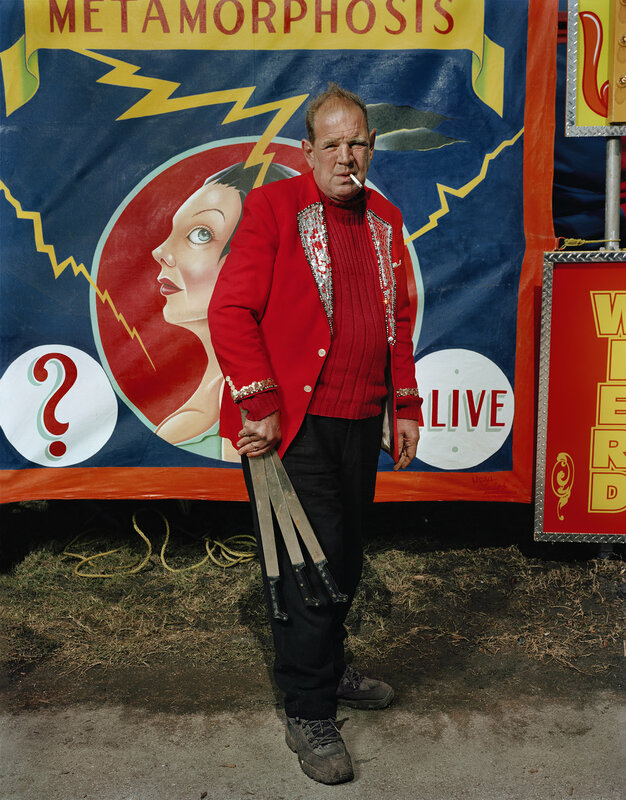 Sword swallowers, fire eaters, freaks and illusionists have excited generations of Americans. Today, only this one troop persists, led by the legendary Ward Hall and his partner Chris Crist, who mounted multiple extravaganzas for Ringling Brothers more than fifty years ago. As the photographers listened to hard-luck stories and felt the power of hard-lived lives, they were moved by these men and women who continue to perform despite changing times and tastes. The Katz's widely-acclaimed book about the surreal effects of human action on the salt flats of Utah, "Salt Dreams" (powerHouse, 2006), featured images deemed "spectacular" by New York Times critic Grace Glueck. With this powerful and unsettling new work, Jimmy and Dena Katz continue to explore the post-modern aesthetics of American sub-cultures.